Home to more than 11 million, Beijing—the gargantuan capital of China—has a host of world-class tourist destinations to visit. Attractions don't come much bigger than the Great Wall of China, about an hour from Beijing. The splendour of China's imperial past can be seen in the Forbidden City, the Summer Palace and the Temple of Heaven Park. Beijing's more modern things to do include a trip to Beijing Zoo, famous for its pandas, and the infamous Tiananmen Square. The construction of the Great Wall of China commenced in the 5th century BC, to protect the country's northern borders from nomadic groups. In total, over 6,250 kilometres of wall was built over the next two millennia, with trenches and natural barriers adding a further 2,500 kilometres to the Great Wall's total length. Built with rammed earth, stone from nearby mountains and brick, the wall is typically 6 metres wide and between 5 and 8 metres high, with taller outposts at regular intervals. The wall is one of the modern wonders of the world and was designated a UNESCO world heritage site in 1987 (though the popular belief that it is visible from space with the naked eye is untrue). Sections of the wall close to Beijing are especially well maintained and defended. The most popular with visitors is the extensively restored section at Badaling (pictured), which crosses undulating mountains. Accessible by coach and rail, and with a maximum height of over 1,000 metres, the Badaling section was visited by President Nixon in 1972 and was the finish point of the 2008 Olympic road cycling course. 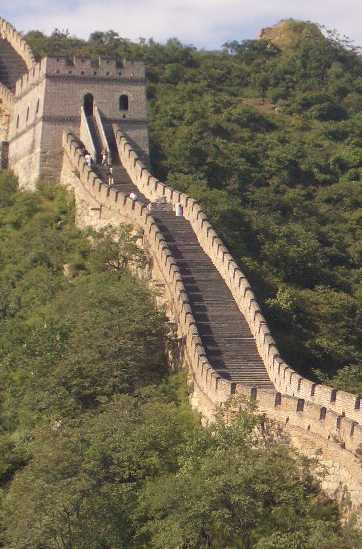 Whilst visited by almost a million a year, visitors are able to walk along extensive sections of the wall meaning that the crowds soon thin out. where? The Badaling section of the Great Wall of China is about 50 miles (80 km) northwest of central Beijing, in Yanqing County. when? 6.30 am to 6.30 pm, seven days a week. £$€¥ Adults: CNY 45 (Apr to Oct), CNY 40 (Nov to Mar). The Forbidden City is the popular English name given to the 178 acre rectangular piece of land which housed the Chinese Imperial Palace from towards the beginning of the Ming dynasty (1420) until the end of the Qing dynasty (1912). Built over 15 years from 1406, the City comprises 980 buildings and almost 10,000 rooms. It is the best remaining example of traditional Chinese palatial architecture and was awarded world heritage status in 1987. The city is divided into two sections. The southern outer court was used for ceremonial purposes and contains the Hall of Supreme Harmony, where Ming emperors conducted affairs of state. The northern inner court was used as the residence of the Emperor and his family, and has as its centre piece the Palace of Heavenly Purity in which the Emperor lived. The City is surrounded by a 26 foot high wall and 52 metre wide moat. It also houses a large number of Imperial collections, including over 50,000 paintings (many of which pre-date the 14th century), 10,000 bronze pieces, 1,000 18th and 19th century timepieces, 30,000 pieces of jade (the ornamental stone important to Chinese culture), and over 300,000 ceramic and porcelain pieces from the Tang, Song and Ming dynasties. where? The Forbidden City is in Central Beijing. The closest subway stations are Tiananmen West, Tiananmen East and Qianmen. when? 8.30 am to 4.30 pm (Nov to Mar) or 5 pm (Apr to Oct). £$€¥ Adults: CNY 40 (Nov to Mar) and CNY 60 (Apr to Oct). An additional fee is payable for the Treasure Gallery (CNY 10) and the Clock and Watch Gallery (CNY 10). Designed and built in 1651, Tiananmen Square is the third largest city square in the world, measuring 880 metres by 500 metres. The Square, separated from the Forbidden City by the Tiananmen Gate (aka the Gate of Heavenly Peace), has been enlarged on a number of occasions and is now able to accommodate 600,000 people. 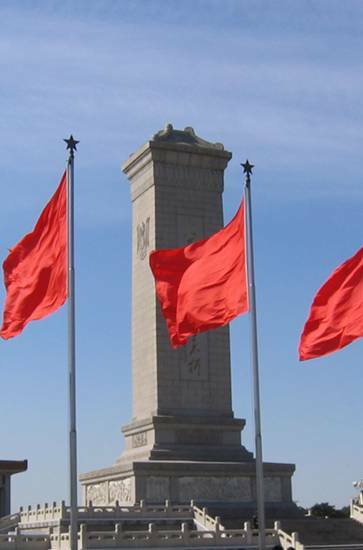 The Monument to the People's Heroes (pictured) is one of the Square's principal attractions: built between 1952-58, this 10-storey granite and marble obelisk is dedicated to those who laid down their lives between the Opium Wars of the 19th century and the Yangtze river campaign of 1949. Beside the Monument is found the Mausoleum of Mao Zedong, the Chairman of China's communist party between 1945 and his death in 1976; visitors are able to view Mao's body, which has been embalmed and is displayed in a crystal coffin. The Square has, of course, been the site of many famous and infamous events, including the 1947 proclamation of the People's Republic of China, various anniversary celebrations of that proclamation, and the eponymous massacre of 1989, in which at least several hundred innocent protestors were killed. where? Tiananmen Square is in central Beijing, to the south of the Forbidden City. The nearest tube stations are Tiananmen East and West (both on line 1). when? The Square opens at dawn and closes at 10.30 pm. Occupying a total of 742 acres, and awarded world heritage status in 1998, the Summer Palace is the best-preserved imperial palace in China. 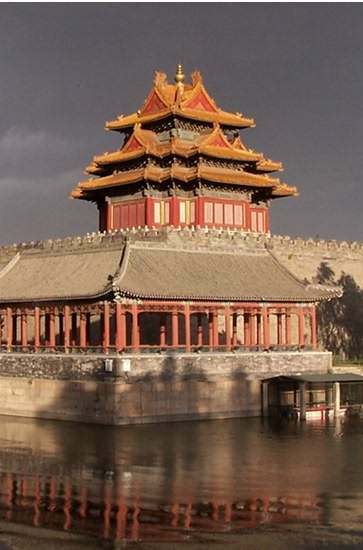 The Palace's imperial connections started during the Jin dynasty (1115-1234), with a number of structures added by Emperor Qianlong (1736-96), and substantial rebuilding taking place in the first years of the 20th century. The Emperors used the Palace as a retreat from the Forbidden City that was close enough to central Beijing to enable them to continue to administer affairs of state. Described by UNESCO as "a masterpiece of Chinese landscape design", the Palace is best known for the vibrant structures on Longevity Hill which rise about the 2.2 square kilometre Kunming lake (pictured). The Palace and its grounds contain over 3,000 man-made structures, including pavilions, towers, halls, gates, palaces, bridges, temples and wharfs. Many have colourful names, including the Hall of Benevolence, the Garden of Virtue and Harmony, the Tower of Buddhist Incense, the 17 Arch Bridge and the Spacious Pavilion. where? 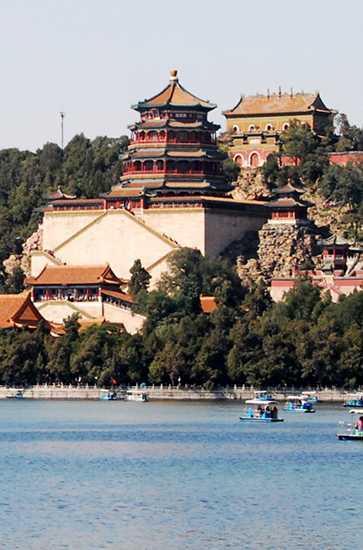 The Summer Palace is 12 kilometres west of central Beijing. The closest subway stations are Beigongmen and Xiyuan (line 4). when? 7am to 5pm, Nov to Mar; 6.30am to 6pm, Apr to Oct.
£$€¥ Nov to Mar: CHY20 for the grounds or CHY50 for the grounds and buildings; Apr to Oct: CHY30 for the grounds or CHY60 for the grounds and buildings. Built in the grounds of a former imperial manor in 1906, Beijing Zoo occupies 219 acres and houses around 14,500 animals from about 950 different species. It attracts around 6 million visitors each year. 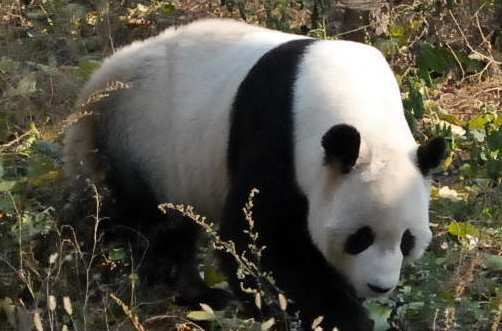 The Zoo is best known for its collection of endangered endemic animals, in particular the giant panda (pictured), the south China tiger, the Chinese alligator and the Chinese giant salamander. The 2.5 acre panda enclosure is the Zoo's principal draw, though many visitors remark on the relatively poor conditions in which other animals are housed. They include Siberian tiers, yaks, snow leopards, Asian and African elephants, gorillas, kangaroos, flamingos and lemurs. The Zoo's grounds also house the large and modern Beijing Aquarium. Highlights include its dolphin and sea lion show, and its large whale and shark tanks. where? Beijing Zoo, No.137 Xizhimenwai Main Street, Xicheng District, Beijing 100044, China. Beijing Zoo station (line 4). when? Apr - Oct: 7.30 am to 6 pm; Nov - Mar: 7.30 am to 5 pm. £$€¥ Apr - Oct: CNY20 for Zoo and CNY130 for the Aquarium; Nov to Mar: CNY15 for the Zoo and CNY120 for the Aquarium. 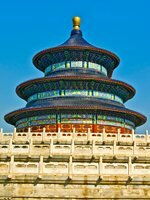 The 267-acre Temple of Heaven Park (aka Tianten Park) in southern Beijing is home to a number of temples and other religious buildings. Awarded UNESCO world heritage status in 1988, the Park was previously used by emperors of the Ming and Qing dynasties, each regarded as the Son of Heaven, to fast, pray for good harvests and atone for the sins of the people. 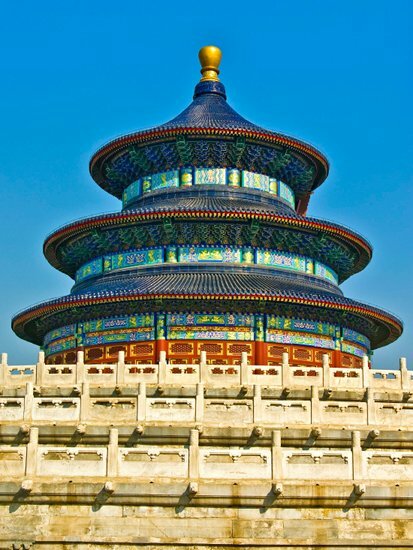 At the Park’s centre is the Temple of Heaven, often described as the best surviving example of Ming architecture. Constructed in 1420, during the reign of Ming emperor Yongle and subsequently extended during the reigns of emperors Jiajing and Qianlong, the Temple is made up of a number of structures. At the centre is the Hall of Prayer for Good Harvests, pictured, a 38-metre tall circular building constructed on three layers of square marble plinths (on account of the Chinese belief that heaven is round and the earth is square). To the south are found the Imperial Vault of Heaven (containing tablets of past emperors, used in the winter solstice prayer ceremony) and the Circular Mound Altar (where emperors sacrificed animals). The Vault of Heaven is surrounded by the 65-metre echo wall, where, on a quiet day, a whisper at one end can be heard at the other. Other attractions include a beautiful rose garden, the Palace of Fasting and the surrounding pine forest. where? Temple of Heaven Park, Tiantan Road, Dongcheng District, Beijing 100050, China. Subway: Chongwenmen or Quianmen. when? The Park is open from 6am to 10pm each day, with the Temple open between 8am and 5pm (low season) or 6pm (high season). £$€¥ CHY10 (entrance to the Park) to CHY30 (entrance to the Temple of Heaven).